First of all, oodles of thank yous to Victoria for recommending this book to me. 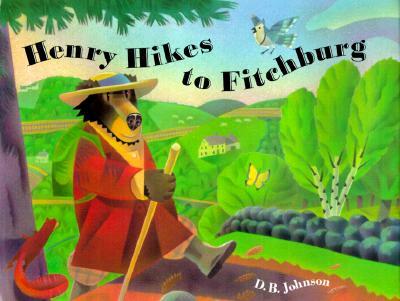 It is indeed a treasure and one I am so excited to add to my list of favorite books…Meet Henry – a bear who embodies the spirit of Thoreau and who, in his big hat and red coat, decides to walk the long journey to Fitchburg. His friend, a rather sophisticated city-dweller, opts to take the train and from there we are lucky to witness their differing paths. Much like his namesake, Henry admires the beauty of the walk – the creatures, the flowers, the blue sky. While his locomotive-bound friend misses all the wonder of the adventure by just not stopping to see it. Never before has a children’s book author so effectively brought the true meaning of “Walden” to a young audience and D. B. Johnson’s book is the perfect introduction. Sit with your child, savor that moment of closeness and read this book with your eyes wide open. You’ll find the treasures within just as I did.